To be frank, avoiding dealing with tricky situations isn’t a good look for an executive’s reputation or career.But, the problem is, not many people relish the opportunity to step up and confront a tricky situation. 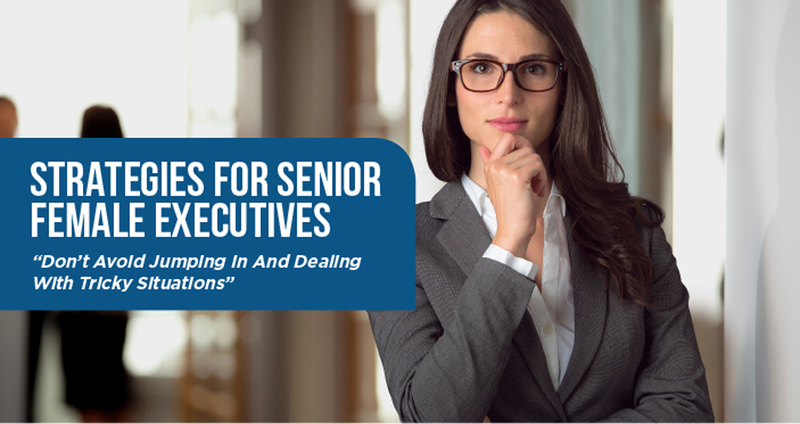 Even the most senior executives don’t relish it. Regularly, in one-on-one discussions with executives and leaders, the person sitting across from me describes how they’re avoiding dealing with a situation that they find tricky. They frequently push this stuff under the table. • Rationalise why they haven’t stepped up and confronted the situation. • Pretend the difficulty doesn’t exist, sometimes to themselves as well as to me. Avoiding confronting tricky situations is rampant. How to deal with a tricky situation is one of the two topics most frequently put on the table when I’m coaching executives. typically at least two or three times from clients during each of my working days. Often the person who’s doing the avoiding isn’t aware that they’re doing it; however, it’s usually clear to others that the avoidance is happening, and it’s seriously frowned upon. Your team members, peers, boss and others often notice when you’re avoiding issues, such as confronting a peer about their apparent non-compliance with an agreed strategy. In other situations, your team members, peers and boss will be unaware of your avoidance of a situation. They won’t know how much sleep you’re losing. And they’ll seldom have a clue about the magnitude of the anxiety you’ve got going on about the issue. They’ll just notice that you’re looking tired, and they probably don’t attribute your tiredness to your avoidance. This is like the “duck on the water” syndrome, where the duck looks relaxed and calm about the water, but, if you look under the water, you’ll notice that the poor little thing is paddling like crazy. Here’s the thing: Confronting difficult situations and difficult people are key to an executive’s success! Let’s look at why there’s so much reluctance to confront these tricky situations, put the difficulty on the table and get it sorted, once and for all. When you understand the mechanics of what’s going on, it puts you in a much better position to confront it. 1. You feel uncomfortable in emotionally charged situations. You know that the tricky situation will need strong emotional resilience, and, at this point, you’re not comfortable that yours is strong enough. 2. You’ve decided that confronting the tricky situation won’t be productive. 3. You don’t know how to deal with it effectively. You don’t have a schema, as an expert would, so you don’t know how to plan the interaction, put it on the table with the other person and bring about a constructive resolution. You’re not confident that the discussion will be congenial and that it’ll enhance trust and likeability. 5. You don’t think you can get the involved parties to agree. I understand that if you’re apprehensive about getting agreement, you’d want to defer having the conversation. 6. You fear the thing will blow up in your face — and you’ll end up with an even bigger difficulty that you don’t know how to deal with. Yep, your anxiety levels will be high if you’re sure that the other person will push back, and you won’t know what to do. Which of these six reasons ring true for you? On the surface, these six reasons seem like sensible reasons to avoid confronting the difficulty. But avoiding the confrontation would only be sensible if avoiding didn’t have such serious costs. If you avoid dealing with an issue that needs to be resolved, your relationship with the other person becomes tense. Then, with a tense relationship, how openly does the other person communicate with you? And then, when two-way communication isn’t open, what happens to trust in the relationship? With trust down the gurgler, how valued and respected do you feel by the other person, and how valued and respected do they feel by you? Tense relationships, tentative communication, trust, and people not feeling valued and respected all seriously impact morale, productivity and people’s enjoyment of their jobs. And staff turnover increases when people don’t enjoy coming to work. When you avoid facing what’s going on in your world, it negatively impacts your sense of self-worth. Your confidence suffers when there’s something going on in your world that you’re not facing up to. What’s more, business failures are often attributable to someone not courageously revealing something important. 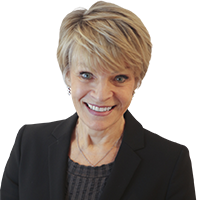 Carolyn Stevens is the most trusted personal career strategist to female executives in Australia who are striving to improve their position in today’s corporate world. She has worked in human resource development for three decades, including more than 20 years as the owner of her own firm. With her unique training and certification in psychology, professional coaching, LSI, neuro-linguistic programming and Myers-Briggs Type Indicator, Carolyn is in high demand by organisations such as AMP,Caltex, Expedia, Merrill Lynch, NSW Ministry of Health and BHP. 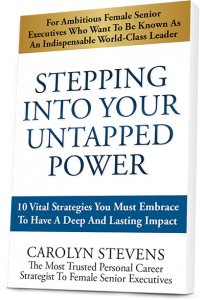 In her book, Stepping Into Your Untapped Power, Carolyn looks at 10 myths and roadblocks that may be holding female executives back from capturing the professional prize they’re after. Whether it’s the fear that you are surviving but not thriving or the belief that you’re not always seen as a strong and capable leader, she’ll take you step-by-step along the road to reaching your maximum potential.